These days, homeowners have the power to hire a wide variety of home remodeling contractors to deliver the best results for both their vision and their budget. Even if you find the right home improvement company for your project, problems can develop due to miscommunications. It is important to take steps to ensure that every aspect of your home remodel goes perfectly, which is where Detail Design & Remodeling can help! For years, we’ve delivered cabinet refacing services in Atlanta and beyond, and our experienced home remodeling contractors can deliver the ideal outcome for your vision on the first try. We’re dedicated to providing the very best services, and our commitment to excellence shows in the quality of our work. Today, we’ll highlight four tips we think will be helpful in helping you communicate with your home remodeling contractor. One key tip to remember is that everyone has an idea of what certain terms and definitions mean according to their own experiences. You may have a clear idea of how the project should progress, while your contractor may harbor a different understanding of how to proceed. Clear communication is essential, and starting off on the right foot with defined terms can help to mitigate much of the confusion. Some terms in the home improvement industry can yield multiple definitions, which is why Detail Design & Remodeling recommends discussing different definitions before the work proceeds. Terms such as “broom clean,” for example, can entail varying degrees of effort. This means that the contractor will clean your home after work is finished, but will not put on a white glove to inspect for small amounts of dust. As the homeowner, you are empowered to clarify exactly what you expect for your investment. Our Tip — Receive everything in writing before work commences for complete clarity. It may sound like a lot of work, but you will be able to prevent costly miscommunications later on! Lump sum — This method is normally used by contractors, and consists of a total payment based on the materials and services offered. Homeowners often benefit the most from this agreement, as it delivers a cost that should not fluctuate throughout the project. Cost-plus agreements — In this scenario, homeowners will agree to cover the actual expenses of the project, including labor and materials. In addition to this fee, there will be the “plus,” consisting of a predetermined amount for the contractor’s overhead and profit. Each contract option holds its own advantages and drawbacks, so be sure to discuss the terms in detail with your chosen home improvement company. With lump sums, for example, you can provide a detailed list of the exact services you want done, or provide a general allowance for the contractor to abide by. Prices are not always set in stone, so be sure you (nicely) discuss different points with your home remodeling contractor to try and achieve the best compromise. Lump-sum contracts will need to include every planned service, so be sure you detail all of the materials and improvements before signing on the dotted line. Changes may be required throughout the process, in which an updated agreement can be discussed and agreed upon. In any case, it never hurts to ask your contractor if this is the best deal they can offer you! Many homeowners across Georgia hear the term “lifetime warranty” and assume that they are covered for a lifetime. 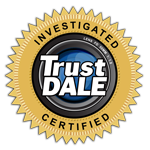 It’s important to discuss with your home remodeling contractor exactly what their warranties cover. 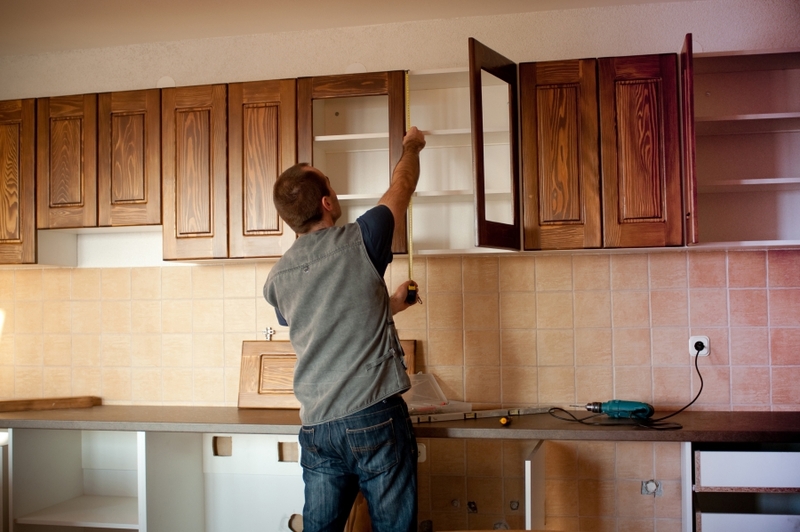 Warranties for new or refaced cabinets, for example, typically last 7 to 10 years. Clarity is essential in the client-contractor relationship, so don’t be shy about asking about what your chosen professional provides with all of their services. Detail Design & Remodeling is proud to offer honest, up-front information about all of our work, and we will be happy to discuss all of your questions during your free in-home consultation. Call us today to schedule your appointment! Before work begins, it is vital to receive the insurance coverage of your chosen contractor. The best way to do this is to have your home remodeling contractor send over a copy of their insurance coverage directly from the insurance agent. This is done to prevent any lapses in coverage or any miscommunications about what is and what isn’t covered. General liability and workers’ compensation are both important for protecting you and your home from damages in the case of an accident. We also have a remodeling rule that states that you should never start a project on the same day an insurance certificate is issued; it won’t go into effect until the next day! Detail Design & Remodeling also suggests you speak with your own insurance agent before starting your home remodel. This ensures that you, your family, and your home are covered in case of any unforeseen incidents. For years, our cabinet refacing pros in Atlanta have delivered the best results to homes across the state. We understand that working with a professional home remodeling company can be stressful and sometimes confusing, and our team will work diligently to keep you informed of our process every step of the way. Contact us today to learn more about our customer-first process, relying on personalized home remodeling services and quality cabinet refacing to refresh your home. If you’re interested, be sure to check out our book to catch up on a few of our rules of remodeling!